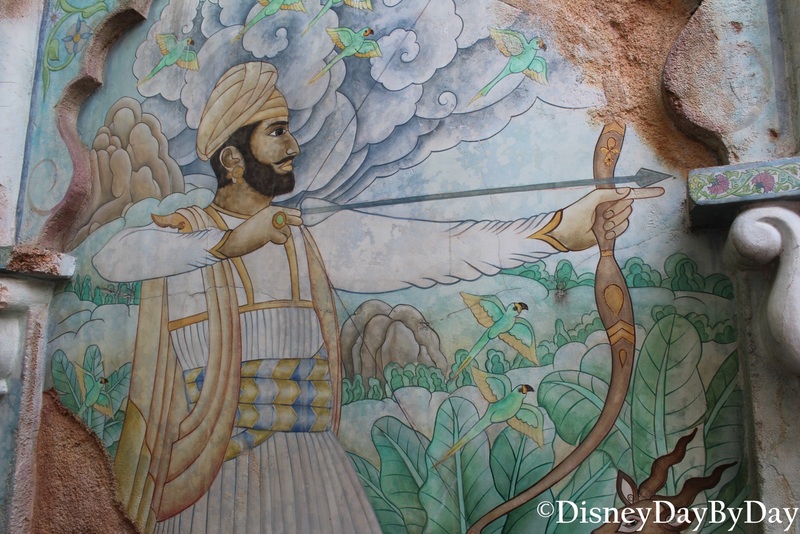 Our Hidden Mickey this week comes from the Maharajah Jungle Trek at the Animal Kingdom. Don’t skip the walking paths at the Animal Kingdom, there is so much to see. These paths are amazingly themed and offer some great up close experiences with many animals. Want to take a break from the crowds and enjoy the shade, take a walk through the Jungle Trek. And while you are there, watch out for Hidden Mickey‘s you just might spot one or two. Like this one below…. Look closely at the area just below his hand on the bow. So many people have found this one you can see the dirt marks from where people have pointed it out :). Hi Mickey!! Don’t miss these great animal walks at the Animal Kingdom, walk with us below if you want to see what you are missing. We love Hidden Mickey‘s. Where else have you spotted one at the Animal Kingdom? 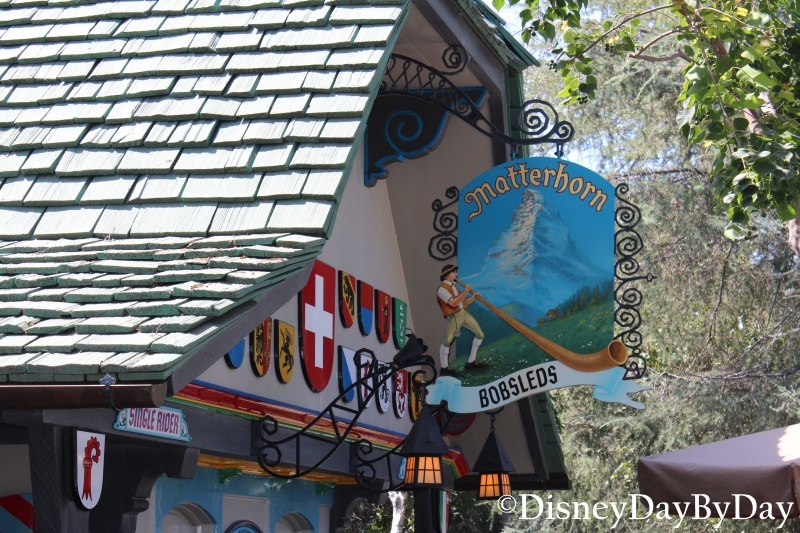 Our Hidden Mickey this week takes us out to the west coast and to the first tubular steel track roller coaster in the world, Matterhorn Bobsleds. As you approach this attraction you will see many different crests hanging above the entrance. Pay close attention to the red key crest. Though it looks almost like it’s own Hidden Mickey it’s not exactly what we are looking for. 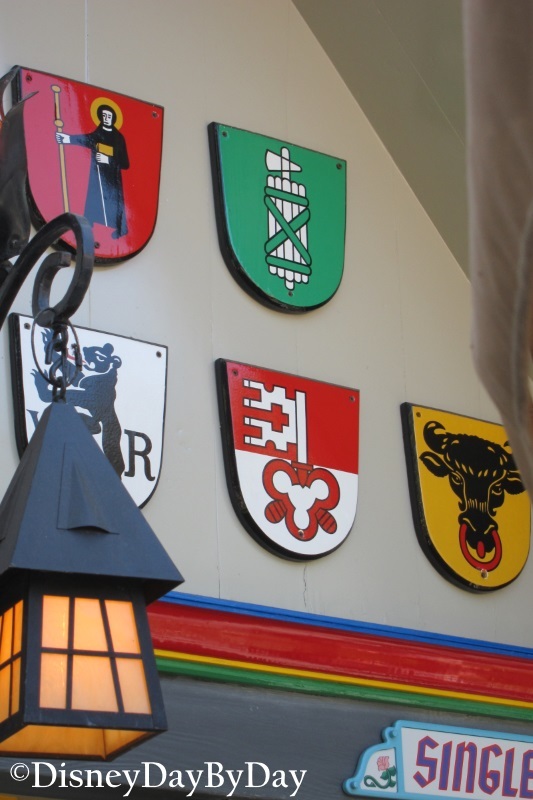 These same crests are also found on the poles throughout the queue. 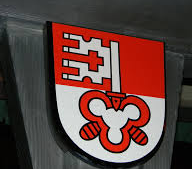 So keep your eyes out for this same crest in the queue area nearest Fantasyland. If you find the Red Key Crest along the queue poles, take a look at the area right between the ears of the large Mickey shape. Ahh there he is. Hi Mickey!! We love Hidden Mickey‘s, let us know where else have you found Mickey on the Matterhorn? Our Hidden Mickey this week is a tribute to an attraction that is closing this week to make way for a Frozen attraction. Maelstrom! 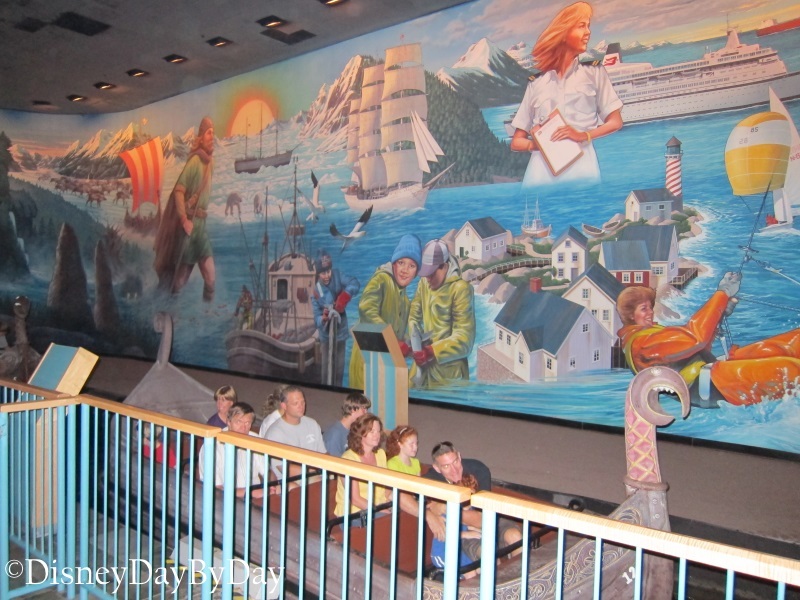 You can read more about it here, but Maelstrom will sail it’s last voyage this Sunday, Oct 5th, 2014. Yes it’s hard to say good bye, but we look forward to seeing how they incorporate Frozen into Norway. 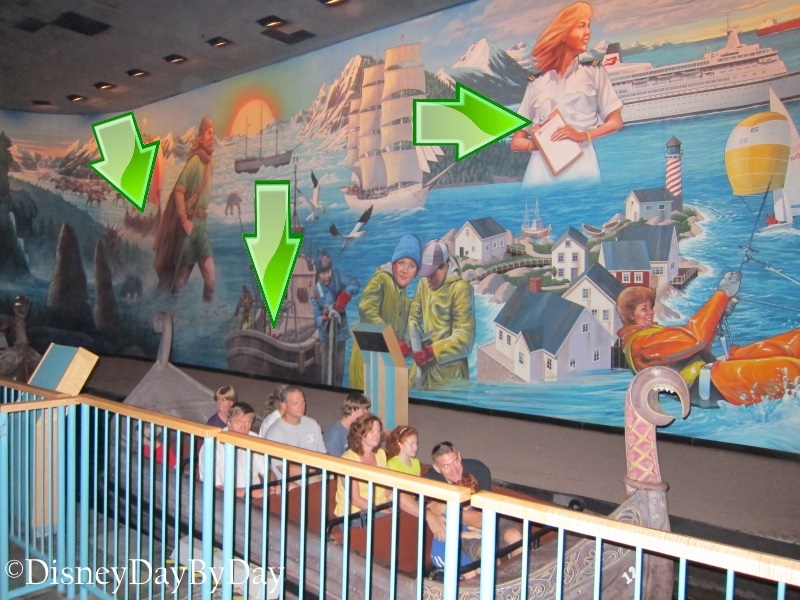 As you stand in line for this attraction there isn’t a lot to hold your attention besides the huge mural on the wall. 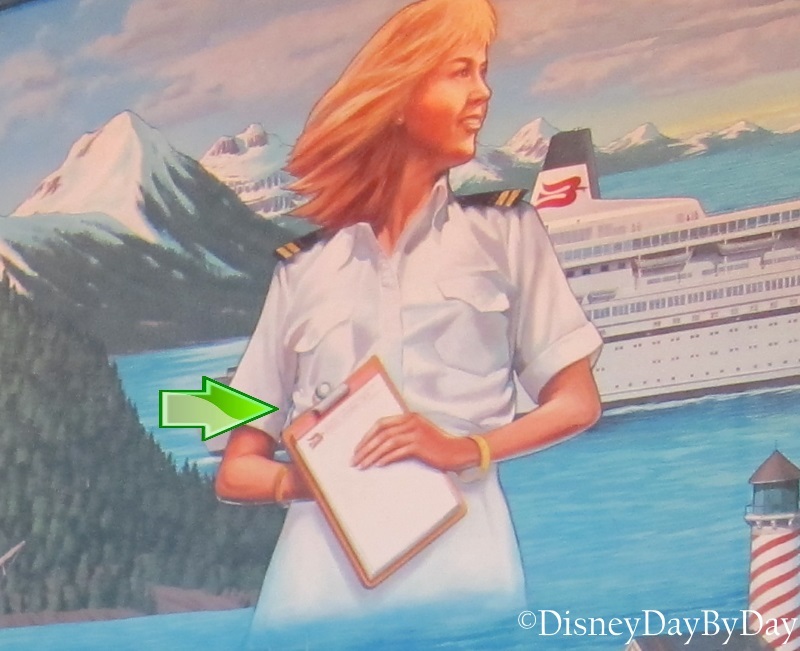 And, what better thing to do with a mural at Disney than try to find where some Imagineers might have placed some Hidden Mickey’s. Here are a few that we have found. Please share any you have found in the comments below. Hmm here are some hints on where to look…. Let’s start from left to right – the one on the far left is our favorite. Of a viking in a viking ship wearing a set of Mickey Ears – see that one here. 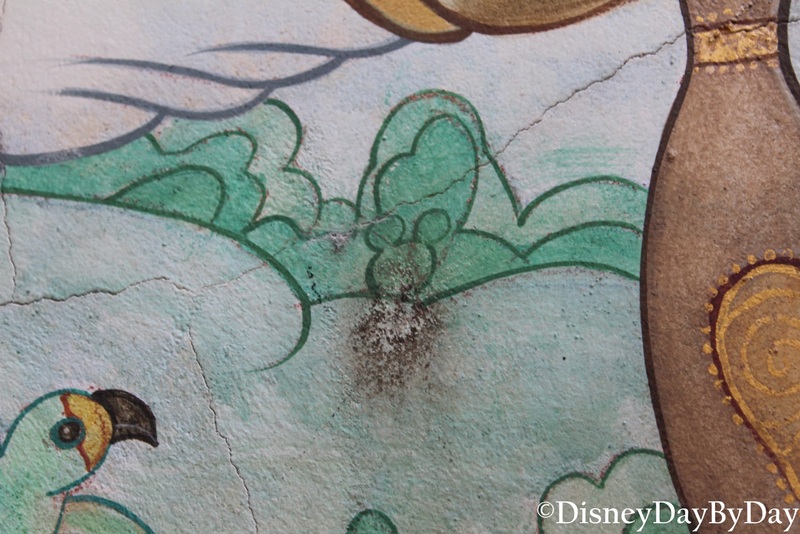 Our final Hidden Mickey takes us to the one marked on the right had side of the mural and always the most difficult for me to point out to others. This Mickey is setting on it’s side with ears pointed to the left, look just to the left of metal clip on her clip board. Hi Mickey!! 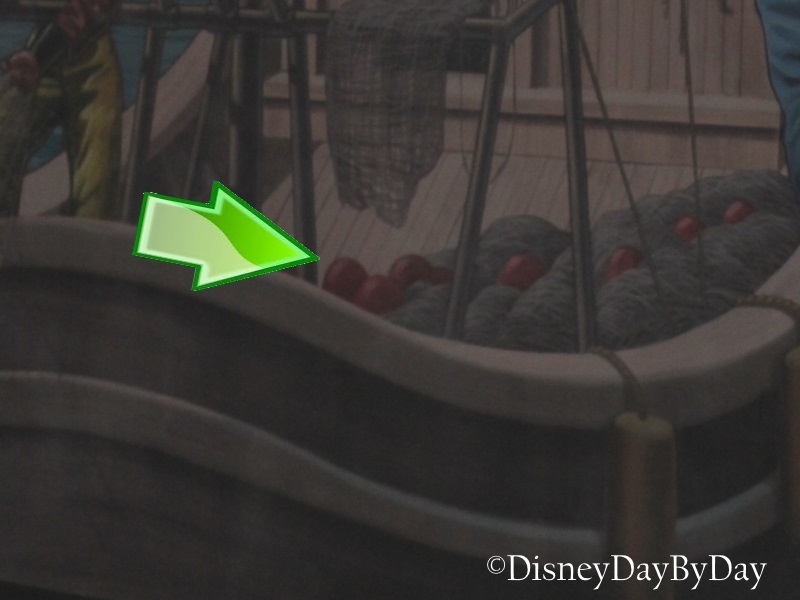 We love Hidden Mickey‘s, let us know where you have found him on Maelstrom before we have to say good bye to this attraction. 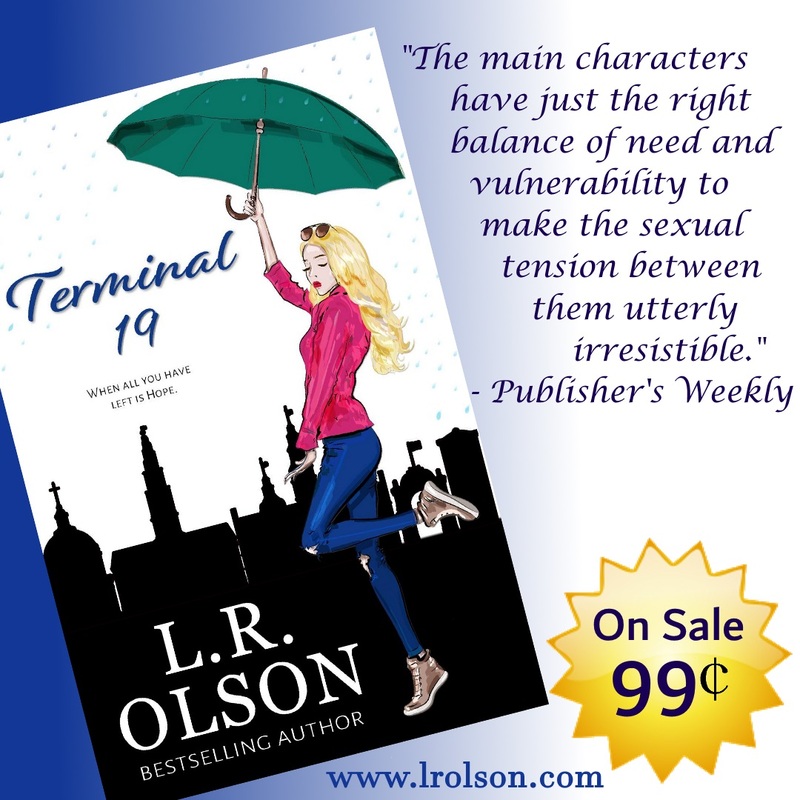 If you would like one last ride – here you go…. 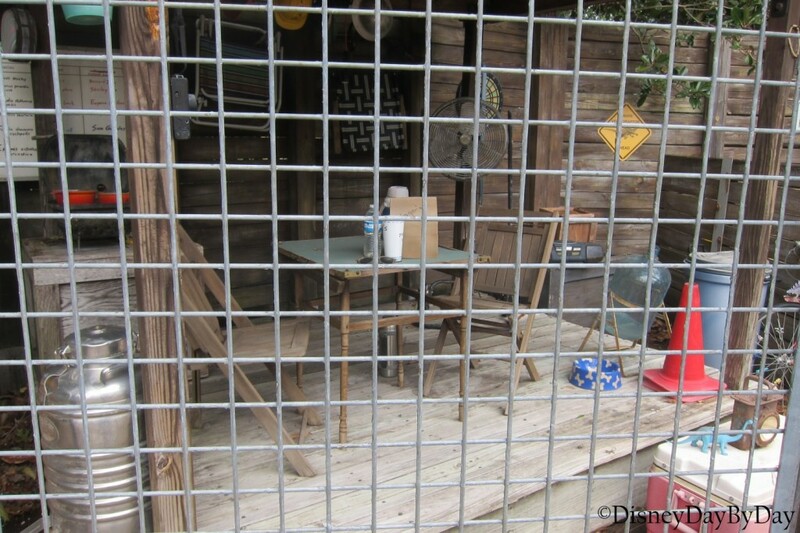 Our Hidden Mickey this week takes us back to the parks and over to Animal Kingdom. 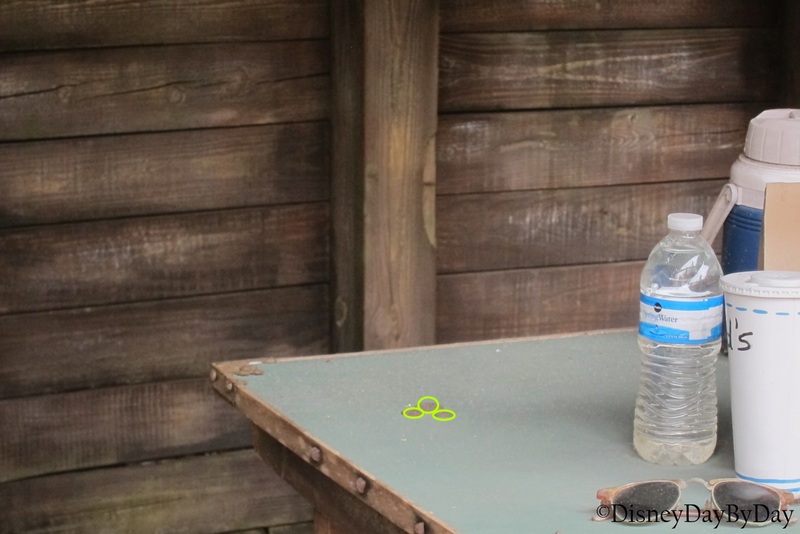 Head over to the Boneyard for this Hidden Mickey, as your kids burn off some energy in this play area, be sure to keep your eyes open for our pal. You will find him at the top of the slide in the camp that the paleontologists have set up. This one is a bit harder to find – but click on the picture below and give it a shot before continuing onto the hints. Didn’t find it? Here is a big hint – pay close attention to that table and the change left behind. Did you spot him? Yes he is upside down. Here he is outlined…. Hi Mickey!! We love Hidden Mickey‘s, be sure to stop by our friends Focused on the Magic for one in New Fantasyland and Frontierland Station for one at the Grand Californian. Where have you found one at the Animal Kingdom? Our Hidden Mickey this week comes from our room at Disney’s Yacht Club Resort. One of our favorite things to do when we go into our room is to search for all the Hidden Mickey’s. You will often find them in the curtains, the carpet, and the shower curtain. But here is one on the mirror – can you spot him? Yes, there is even a not so Hidden Mickey on the lamp. Did you find him on the mirror? Here he is outlined…. Hi Mickey!! We love Hidden Mickey‘s. 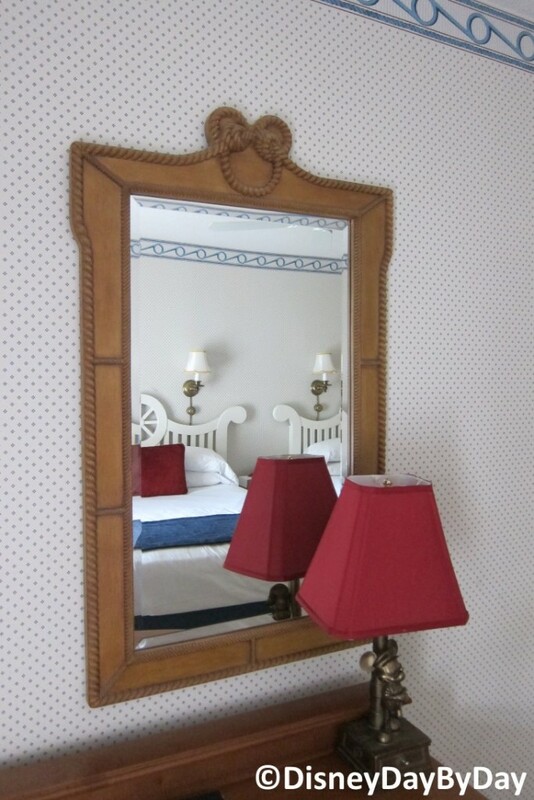 Where is your favorite place to find Mickey in your resort room? 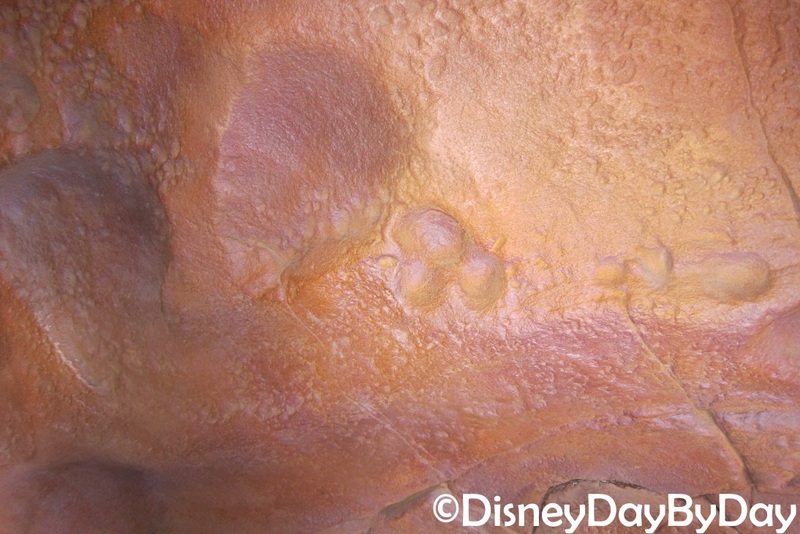 Our Hidden Mickey this week comes from the amazing rock work outside of the Journey of the Little Mermaid at the Magic Kingdom. As you enter and exit the ride pay close attention to the rock work, you just might spot our friend. My sister spotted him as you exit the ride on the left hand side. See if you can spot him. Did you find him? Here he is outlined…. Hi Mickey!! We love Hidden Mickey‘s. Where have you found Mickey on the Journey of the Little Mermaid?